Spec. Roberto Gomez and PFC Donald Epperson check up on survivor John Daigle, unwilling to leave even though floodwaters surround his house and reach three steps up his stoop, and even though New Orleans is under mandatory evacuation. 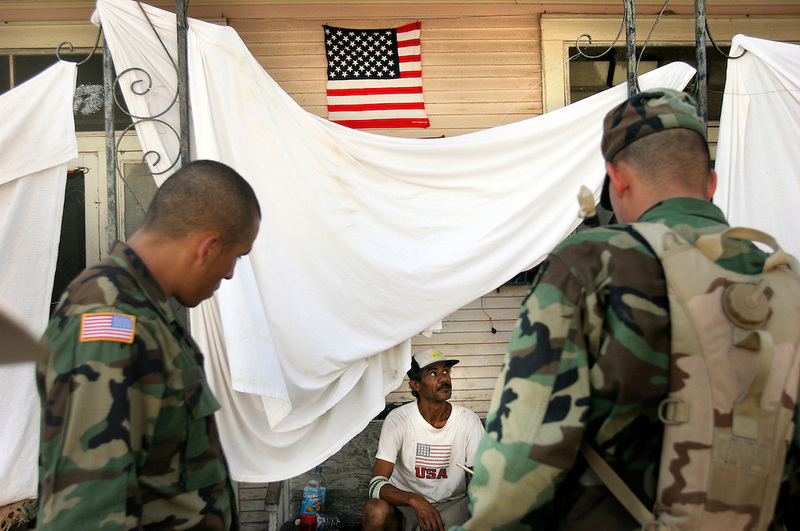 Oregon National Guard troops work in New Orleans after the wrath of Hurricane Katrina. Photographed September 8, 2005. (Thomas Patterson / Statesman Journal) The soldiers are with the 1186th Military Police.